BTW great site and very informative! 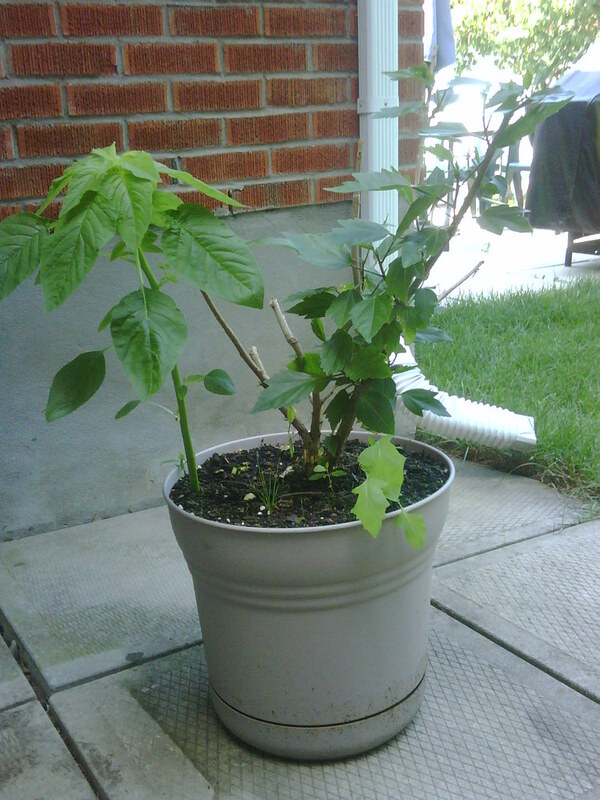 I have this hibiscus tree that was given to me but not doing very well as it has no flowers as it's in pot outside. Also, i've noticed another hibiscus growing next to it but don't really know what to do with either? Do I plant in the ground , another pot or leave in shade as sun seems to wilt it? I've never grown a hibiscus, so I can't offer you any personal hands-on advice. However, I did find this Extension Service article that seems informative. Perhaps it will help? As far as separating the secondary plant, I understand that hibiscus are often sold as grafted plants. If the shoot is coming from the rootstock, rather from the stem above the graft on the main plant, then it won't be the same as your original plant. You would have to examine the lower portion of the main stem, to see if there is evidence of a graft union. It will look like a somewhat swollen area near the base of the main stem. Last edited by Kisal on Sat Aug 22, 2009 5:57 pm, edited 1 time in total. It looks to be completely separate from the main plant and the leaves look different. Given I am in a subfreezing zone, I guess this plant needs to go indoors correct ? Yes, if your hibiscus is a tropical type, and I have a feeling it is, due to its reaction to full sun. You may want to try some hardy hibiscus. If I'm not mistaken, your area is the equivalent of USDA hardiness zone 4 or 5. The hardy hibiscus should work for you. Have you dug down into the soil to look for a graft union on the main stem? There's wouldn't be anything intrinsically wrong about growing an ungrafted hibiscus ... that I can think of, anyway. Regardless of whether it is truly an entirely separate plant, or a sprout from the rootstock of the other plant, I would remove it and put it in a separate container. That way, if the secondary plant turns out to not be something you want to keep ... if the quality of the flowers is so poor to that it isn't worth the effort and expense of caring for the plant, for instance ... then you can dispose of it easily. If you allow it to grow in the same container as the original plant, the roots will become entwined, and trying to separate them later on may damage the plant you want to keep. Also to be considered is that, living as far north as you do, if one plant failed for some reason, being in a separate container might allow the other to continue to survive. Placing the new plant in its own container will also ensure that each will have sufficient nutrients and water available to it. If, when you dig down to the roots of the secondary plant, you find that it is attached to the roots of the original plant, just use a clean, sharp blade to sever that section of the root(s) from the main root ball. Make sure you take a reasonable portion of the main roots, so that the plant can continue to live on its own. oh thanks , but i live in Montreal where I have to bring it in during the winter.